I am a graduate student working towards a Masters in Journalism at West Virginia University. 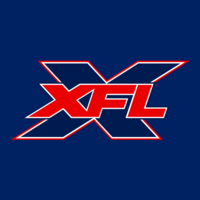 I am currently working on a brand awareness project focused on American football and the XFL. I have included d a link to my survey below. It is absolutely anonymous available for anyone ages 18+. The is the same survey the XFL Board was kind enough to retweet a few days ago. I am hoping to get a few more respondents before working on methods and data. I would love to hear your opinions on sports, the XFL, and a variety of other topics. Once my project is finished next month, I would be more than happy to share the results of my findings! Please consider this request. It is a legitimate survey, and you will be helping out a grad student. Completed. Interested to see the survey results. The XFL did a few of these. Before their launch and after the announcement. People rely on this data.